Some 120 care workers in south-west England are going on strike tomorrow over their employer’s attempt to cut their wages. And they will be staging more two-hour strikes throughout the rest of June. 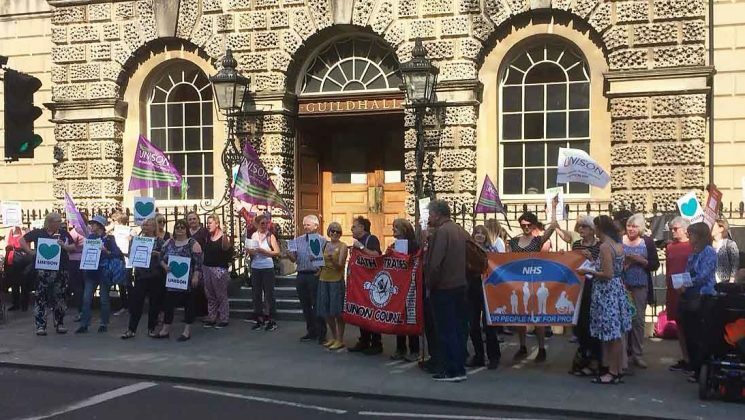 The strike, by residential care workers in Bath and North East Somerset, runs from 8am on Wednesday 6 June to 8am on Thursday 7 June. 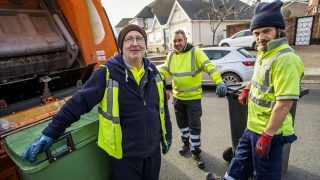 It is taking place because their employer is trying to introduce an half-hour unpaid break into their shifts, meaning they would have to choose between working longer hours for the same pay or seeing their wages fall. Workers who don’t take the unpaid break would be asked to “pay back” the time by working unpaid shifts. At the moment, many of the staff use additional voluntary ‘bank shifts’ to make ends meet. Bernadette is a UNISON rep at Sirona, the private company trying to introduce the changes at homes around Bath, Keynsham and Midsomer Norton. 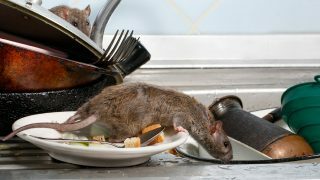 She pointed out that the other choice facing her and other union members is “to forfeit these unpaid breaks, which are not currently part of my contract, and lose hundreds of pounds a year. 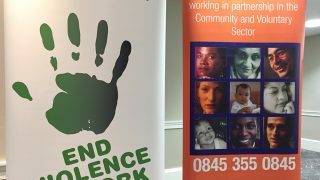 Their employer, Sirona, is a private company set up by Bath and North East Somerset council, which commissions it to provide residential care. However, the council has cut the amount it pays Sirona to provide the care, leaving it £170,000 short. The workers who are being asked to shoulder the cost of this change earn just over the national minimum wage of £7.85 an hour. 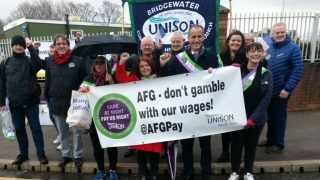 UNISON organiser John Drake commented: “The care workers have been left with no choice but to go on strike. We’ve negotiated with Sirona for months, but the pay cut is still on the table.